ROTHSCHILDS MAFIA = ILLUMINATI = MOST OF WORLDS EVIL AND EXPLOITATION OF HUMANITY! | Concise Politics -- Your Time should NOT be wasted. ROTHSCHILDS MAFIA = ILLUMINATI = MOST OF WORLDS EVIL AND EXPLOITATION OF HUMANITY! 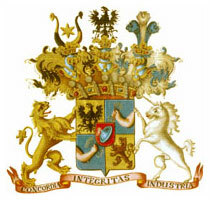 Rothschild Family is richest family in the world. They control somewhere in the area of $550 trillion US, which is roughly half of the money in the world’s circulation. 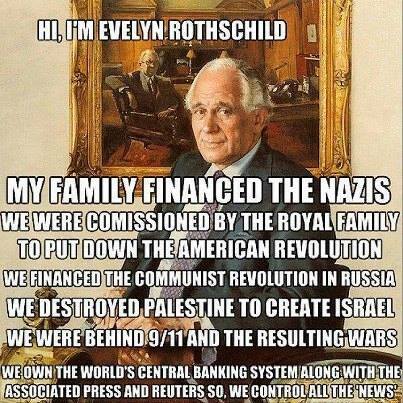 Rothschilds = Who they are = NOT who they claim to be. Rothschilds = KHAZARS from south of Russia (Today — the Nation of Georgia between Black Sea and Caspian Sea) = Claim they are Semite Jews = Actually phalic worshipers that claim to convert to the Jewish faith in 740 A.D. = They have Asiatic Mongolian genes. Of the O.193% of Humanity that claim to be Jews approximately 90% are actually Khazars, or they prefer Ashkenazi Jews. FACT: 90% of the ISRAELIS occupying Palestine knowingly lie to the world about their BIBLICAL claim to the Arab lands Israelis ROBBED. = Their real homeland is over 800 miles away in Georgia. You constantly hear an Israeli Prime Minister bleating about the so-called persecution of the Jews but every Prime Minister of Israel has been an Ashkenazi Jew with NO RIGHT to the ARAB LANDS. FACT: ROTHSCHILDS KHAZARIAN MAFIA curried the BALFOUR DECLARATION FROM BRITAIN to ROB PALESTINE for a so-called Jewish homeland = FACT IS ROTHSCHILDS MAFIA wanted control of SUEZ CANAL for CONTROL of LUCRATIVE East-West Oil TRADE = Knowingly deliberate LIES to ROB strategically located lands. ROTHSCHILDS MAFIA FAMILY = Most wealthy in the world bar none = Leaders of the Ashkenazi Jews = A Position obtained through FRAUD + LIES + MANIPULATION + MASS MURDER. ROTHSCHILDS MAFIA FAMILY = INFECT other families = Astor + Bundy + Collins + duPont + Freeman + Morgan + Oppenheimer + Rockefeller + Sassoon + Schiff + Taft + Van Duyn. ROTHSCHILDS MAFIA FAMILY = Follow centuries old pratice by Khazarian-Ashkenazi Jews = Change their name to invisibly blend into Nations they INFECT to obtain influential positions they use to exploit the NATIONS HUMANITY = TRADITIONAL PRACTICE OF DECEPTION. ROTHSCHILDS MAFIA FAMILY = Known to sire many children secretly they TRAIN FROM BIRTH to take positions of power. ROTHSCHILDS MAFIA FAMILY = Very first man who took the name Rothschild = Had a secret sixth son = To breed names like the MAFIA Families mentioned above. The ROTHSCHILDS MAFIA is a very small GROUP of EVIL DOOERS. And most so-called Jews are not in the MAFIA but are like all Humanity VICTIMS OF THE MAFIA. This entry was posted in ROTHSCHILDS MAFIA = ILLUMINATI = MOST OF WORLDS EVIL AND EXPLOITATION OF HUMANITY! and tagged ROTHSCHILDS MAFIA = ILLUMINATI = MOST OF WORLDS EVIL AND EXPLOITATION OF HUMANITY!. Bookmark the permalink. ← SANDERS LEADS WHERE IT MATTERS AND GROWING EVERYWHERE!